QMS is promoting Scotch Beef and Scotch Lamb at Sirha. Scotch Beef and Scotch Lamb is being showcased at a global hospitality and food service event. Quality Meat Scotland (QMS), which oversees and promotes the red meat brands, is in attendance at Sirha in Lyon, France. 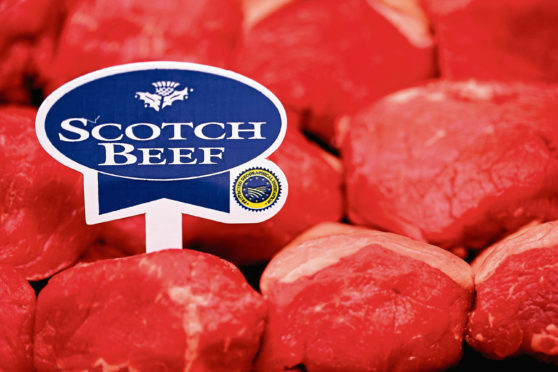 The red meat levy body will offer samples to potential buyers, while promoting the Protected Geographical Indication (PGI) status of Scotch Beef and Scotch Lamb, and explaining the guarantees of quality assurance, provenance and welfare behind the brands. QMS head of market development, Tom Gibson, said although Brexit uncertainty was casting a “very unwelcome shadow over European and international trade” there was still potential for further sales growth in France in future. “France is the largest export market for Scotch Beef and Scotch Lamb so it is vitally important to attend events such as Sirha in order to meet with buyers, reinforce and strengthen the fantastic story we have to tell about our world-class brands and, of course, maintain and secure trade,” added Mr Gibson. QMS said its presence at Sirha was funded through £2 million of AHDB red meat levies, which have been ring-fenced for collaborative projects with Welsh levy body HCC and QMS. The funding is an interim arrangement while a long-term solution is sought on the issue of levies being collected at the point of slaughter in England for animals born and reared in Scotland and Wales.